Mr. Cothran asked me after our photography class at church, “What do you do?” In real life the people that know me see my updates on my Fan Page and wonder. My topics range from how to tips, local events, parenting and all things related to producing content on the web. My lifestyle is what I have found to be my niche. When I’m not creating content here on A Renaissance Woman, I work as a web producer. I help businesses with their online presence and to give you a little insight this is what a typical work day might look like. Today I organized a photo shoot for Houston Family Law Attorney Jim Evans. 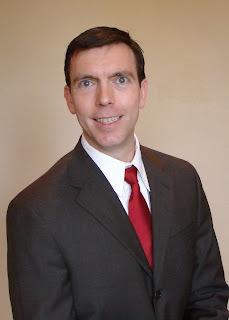 Here is the photo he has been using as the face of his family law firm for marketing. In my experience this one photo isn’t enough to work with for social media and marketing online. After researching with Karen A. Nelson owner of Design With Your Dime in Mind we wanted something that had not been done before. We wanted something more natural with less of a pose and more color. We enlisted photographer Chesni Cooper of Chee Photography to capture what we have been calling the “money maker” shot. That one photograph that brings out the professional side and brings you clients. We thought about the photograph with diplomas hanging in the background and the gold lettered law book inside the conference room. Instead we took our photo shoot to the streets of downtown Houston’s court houses. Jim Evans was a good sport about shooting on location and people were wondering what we were doing! We were stared at quit a bit because here is this attorney with three women following him around and two of us are armed with cameras. You won’t normally see me in photos because I work my magic behind the scenes. Here is one shot just to show that yes, in fact I’m here. You have to look really close in the window reflection. We had Jim pose in many different places and if you would like to see the full photo shoot you can click here to see the album. My candid shots will be used for updates but the photos that Chesni took will be updated on Jim Evans Law.com. What do you think? Did she get the “money shot”? What am I doing today? 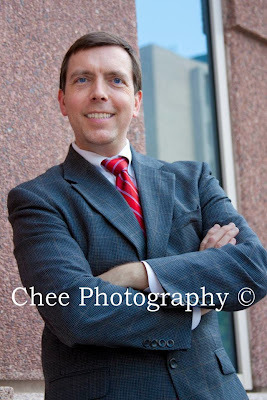 I’m revamping the image of a Houston Family Law Attorney.